This entry was posted on April 2, 2011 by Russell Smith. 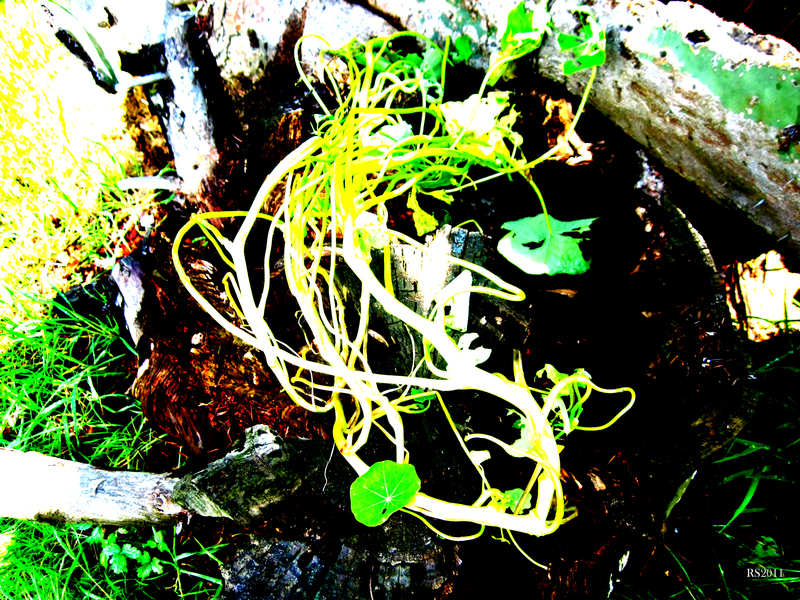 It was filed under Abstract, Floral and was tagged with botany, nonvascular plant, postaday2011, vines. Right! Nice shot. Nasturtium. Looking a little anemic. Maybe it’s an air nastursium. It is true, the computer does not like that spelling. It looks like its coming out of the frame to get me! An interesting image, no matter what the plant.